The Malita started offering its services in 2002. A call for the selection of a contractor to design, build and operate the Malta-Gozo tunnel will be issued 'soon', Infrastructure Minister Ian Borg said on Monday. Seven bidders have responded to a call for offers for technical experts to support Infrastructure Malta in the planning and implementation of the tunnel project, the minister said in a Facebook post. The average value of the bids is €10.5million. The current proposal would lead to the creation of a 13km-long tunnel with a 7 metre radius and one traffic lane heading in either direction, with an additional safety lane. An undersea Malta-Gozo tunnel would run between Manikata and Nadur, according to studies currently being considered by the government. 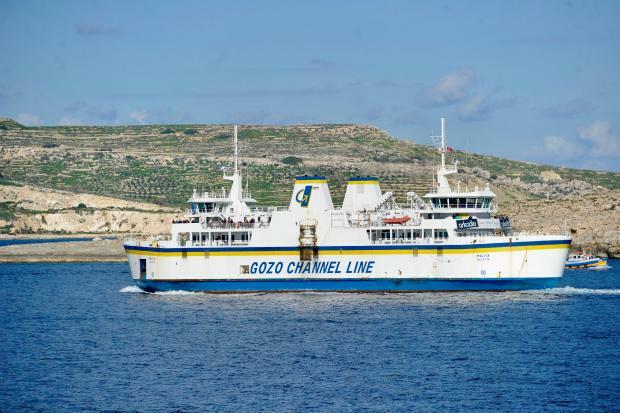 Meanwhile, Gozo Minister Justyne Caruana said on Sunday that Gozo Channel is to acquire a fourth ferry - a response to huge queues at the ferry terminals during the holidays and long weekends. Speaking at a Labour political conference, the minister said that talks are in hand for the company to acquire a fourth ferry. She gave no further details. Times of Malta had reported in June that plans for the charter of a fourth ferry had foundered because of disagreement between the Gozo and finance ministries. Maritime industry sources had said that Gozo Channel had made arrangements to lease a Ro/Ro vessel from an international company, at least for the summer months. The ship, with a capacity of up to 1,000 passengers and 150 vehicles, was to be leased with the crew at a cost of about €3,000 a day. The finance ministry had baulked at the cost. The company currently operates three ferries, the first to be built specifically for Gozo crossings. All three ships, built at the now defunct Malta Shipbuilding, are owned by the government and chartered to Gozo Channel. The first, Ta’ Pinu, was commissioned in March 2000, followed by the Gaudos in February 2001 and the Malita in March 2002. The Malita differed from her sister ships in that it had two hoistable decks, enabling it to carry 138 cars along with 900 passengers. That feature was later added to Ta’ Pinu. Gaudos carries 72 cars and has a specially strengthened main deck for extra-heavy cargo. Chartering a vessel is complicated for Gozo Channel because harbour infrastructure at both Ċirkewwa and Mġarr was built specifically for the current vessels, and a new ferry would need to match those specifications. Gozo continues becoming an increasingly popular destination, particularly over the holidays and long weekends, but commuters have complained frequently about queues lasting hours. During the Christmas season, the vehicle queue at Ċirkewwa sometimes stretched all the way to Marfa Road. Dr Caruana first raised the possibility of the introduction of a fourth ferry when speaking during the Budget debate in parliament in November 2017. She confirmed that despite the plans for the fourth ferry – and a possible tunnel – the government also intends to introduce a fast ferry service between the two islands while legal wrangling ends. Plans are also in hand to reintroduce a helicopter service.